Like I said, I’m a big fan of the Moscow Mule, but any libation that gives a twist on a classic; well, I’m jumping in heads first to try it. Sometimes you win and sometimes you lose. As long as you go easy on the HUM, this one is a winner, winner, chicken dinner. If you are unfamiliar with it, HUM is a botanical spirit, and I’ve never tasted anything like it. I wouldn’t say it’s an acquired taste, but use it sparingly. Kinda like salt…you can always add more. I’ll bet you are wishing you were sipping on one of these bad boys right now. 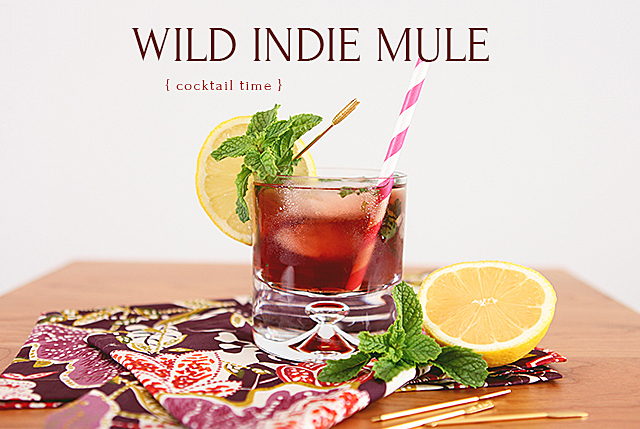 The Wild Indie Mule is an absolute MUST make! So if you are feeling like you are in a festive mood, go whip one of these fancy cocktails together immediately and that means no dilly-dallying! Get at them already! And before I leave you with the recipe, I have to make a special mention about these fabby brass arrows. Yes, they are really brass. Yes they are fabulous. Yes I love them with all my heart. So a special thank you to loulou mint. If you don’t know her, she owns a great Etsy shop and thankfully (for me) keeps a special eye out for items she thinks her customers might dig. Oh, and when you get a package from her, she always give you sweet surprise and a handwritten note. So loulou mint girl, I’m sending you a HUGE virtual hug darling! These drink arrows are a new favorite in the house! Here, get a closer looksy. And you can keep an eye on her Instagram for sneak peeks of what’s to come. • In a shaker, muddle mint, cilantro and lemon juice. • Add ice, vodka, HUM and ginger syrup to shaker, shake for 15 seconds or so to get it good and cold. • Fill cocktail glass with ice and strain shaker contents into each glass. 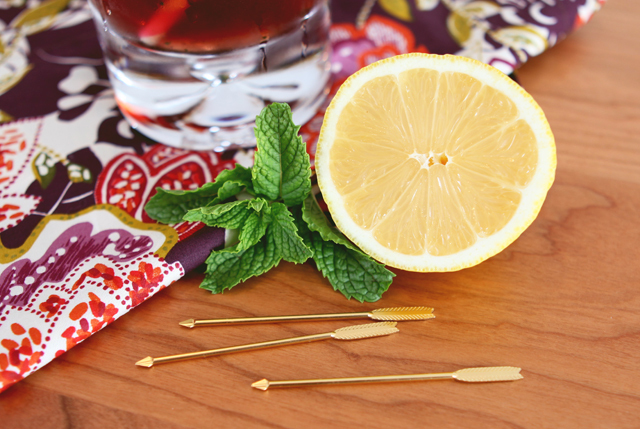 • Garnish with a lemon. Kyla, My sincerest thanks for featuring me on HOH today! Your styling skills are amazing as well as your writing and photography! God bless you! Thank you so much for the brass arrows! I absolutely LOVE them! Kyla, this sounds delicious! And your photography and styling is absolutely gorgeous…and I noticed the arrows immediately. Soooooooo pretty. The arrows are killing me. They are soooo pretty I’m afraid to use them! LouLouMint did me good by these! Wow! Thank you so much for the sweet comment! This looks amazing! 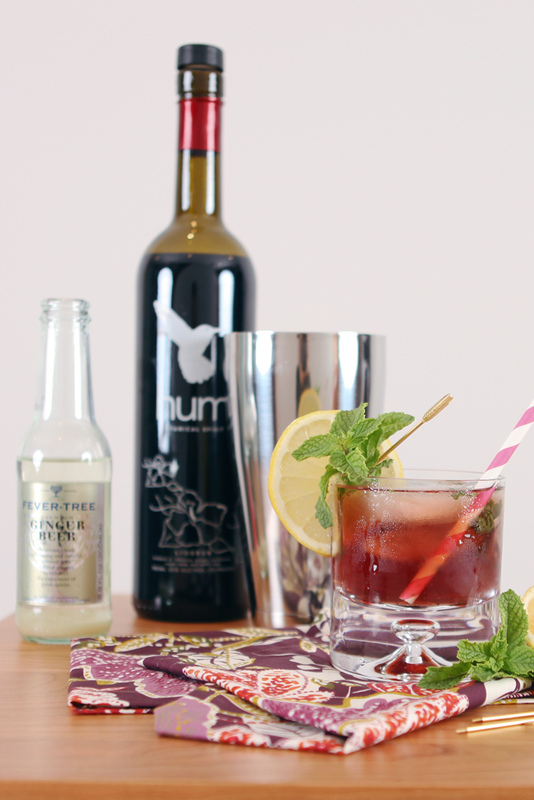 We are definitely on the mule kick and this one we will have to try. Thank you for sharing 🙂 Stopping by from the Totally Terrific Link Up. Thanks ladies! The mules are so good and this is by far one of my favorites! Let me know how you like it! Thanks for hosting! Hi Ginny! Thanks for stopping by! A little HUM goes a long way, but it’s delicious! If you make it, you’ll have to let me know how you like it! I’m smacking my lips just looking at the photos! 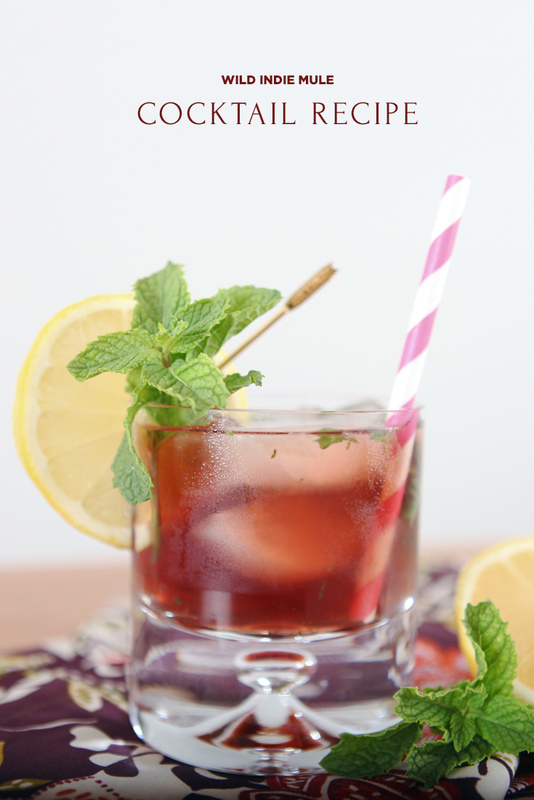 This pretty little drink looks light and perfect for a party. Thanks for sharing at Fridays Unfolded! It’s never too cold to enjoy a good beverage 😉 And here in Texas, it’s still 90 degrees some days! Thank you for sharing at Merry Monday! This looks delicious. Oh Amanda! You are soooo right! And I’m very jealous of your 90° weather right now. I have the heat…boo! I always enjoy your posts! This looks so yummy and you take great photos! Thanks for linking up at Totally Terrific Tuesday. Make sure you come back Monday night at 10pm to link up any new posts!! Awe! Thanks Jessica! And yes! I’ll be there tonight with bells on! Thanks for stopping by Leigh Ann and thanks for hosting! Yum, this sounds really good – I love a tasty cocktail. 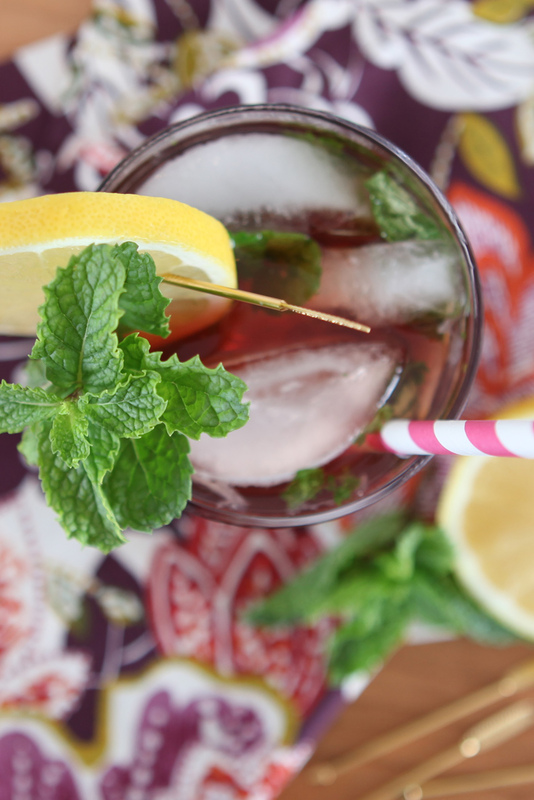 I’m sure I could work in my homemade ginger ale (just posted the recipe) too! You have great taste in vodka too, belvedere is my favourite! Ok, this is funny, I was seriously just over at your blog oogling your magic cake! That looks like a great recipe, and your photos are wonderful! Thanks for sharing it with us at Make It Monday! My colleague and I are on a business trip in Madison, Wisconsin this week. My colleague has an affinity for Moscow Mules too and I had one or two this week myself. This recipe looks like a great variation. I’ll be sure to share the recipe with her. Ahhhh! You’re near my hometown! I’m from Baraboo, WI and Madison is one of my old hangs. Have a great time. It’s an awesome town!